If you are looking for cosmetic surgery in Northampton, we are able to offer free surgical consultations at our Gatehouse Clinic. 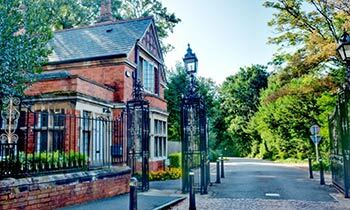 The Gatehouse Clinic is a picturesque period building situated in the beautiful 120-acre landscaped grounds of St Andrew’s Hospital, Northampton. 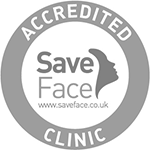 Fully self-contained, the clinic offers a peaceful, private setting in which to talk to our plastic surgeons about the procedure that interests you. We offer surgical consultations with Mr Adrian Richards, Ms Anne Dancey and Mr Nitin Vaingankar on site, as well as performing a wide range of non-surgical treatments in our fully equipped treatment rooms. Whilst we offer consultations from this clinic, if you are looking for details on where your actual surgery will take place please visit The Three Shires Hospital page. Leave the M1 motorway at Junction 15, and take the A45 signposted Northampton Town Centre. Continue straight on this road for approximately 3 miles, passing the Queen Eleanor Hotel on your right. Just before the flyover, filter left, following signs for the General Hospital. Take the first exit at the roundabout and then enter the right hand lane to turn right at the traffic lights onto Cliftonville. Continue up the hill, and when you reach the top, turn right at the lights onto Billing Road. The entrance gates will be on your right. The closest railway station to the clinic is Northampton station. There are direct trains to Northampton from London Euston, via the Euston to Birmingham line. Trains leave approximately every 30 minutes from Monday-Saturday, and once an hour on Sundays. If travelling from Birmingham, there are trains from Birmingham New Street station to Northampton every hour.